A rich & stimulating itinerary, Florence at its best! City sightseeing tours of Florence offer a walk of wonder & discovery of the "real Florence" on our Private Secret Florence Walking Tours. 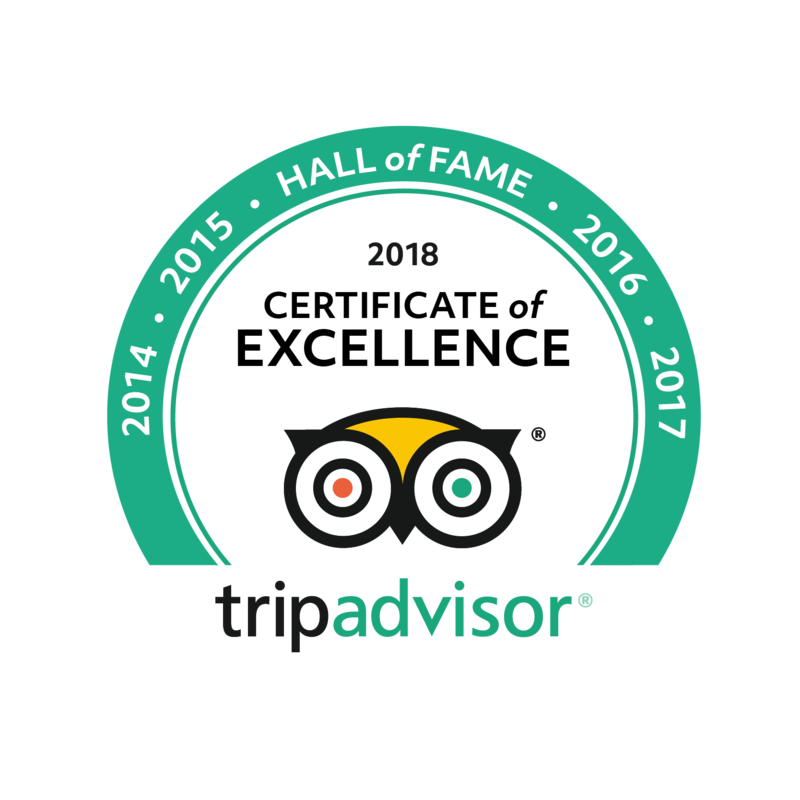 In the company of one of our licensed expert Florence tour guides enjoy a delightful journey through the back-streets of Florence to discover hidden treasures & fascinating characters whose stories will enliven the lesser frequented and arguably more enchanting parts of the city of Florence. Cross the Arno, visit Oltrarno, the Santa Maria Novella Church and other important landmarks off-the-beaten-track. 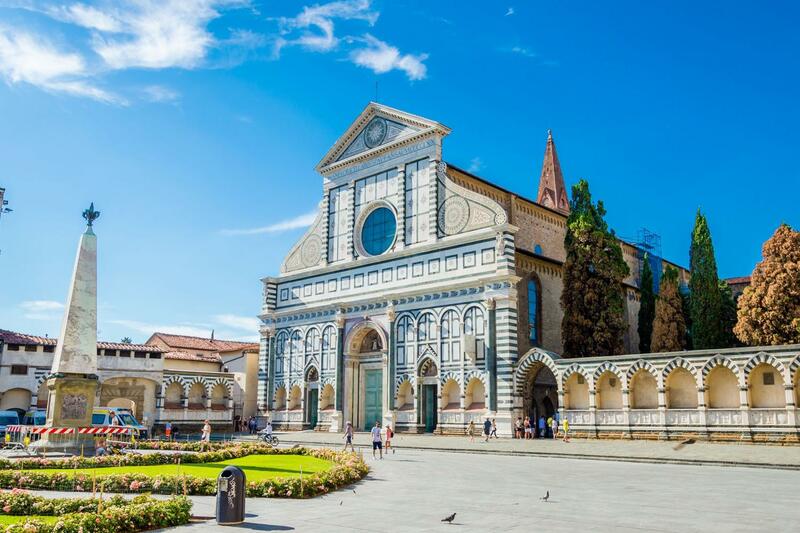 Our Hidden Florence walking tours start with the church of Santa Maria Novella. Off-the-beaten-track, its fascinating inlay marble facade is one of the landmarks of city. And, inside the Santa Maria Novella we'll admire masterpieces by Giotto, Masaccio and Ghirlandaio. And just around the corner is the famous old pharmacy still in use today! We'll smell and admire the potpourris and soaps made from natural ingredients, as well as seeing some of the old instruments and ceramic jars used by the Dominican monks of Santa Maria Novella. 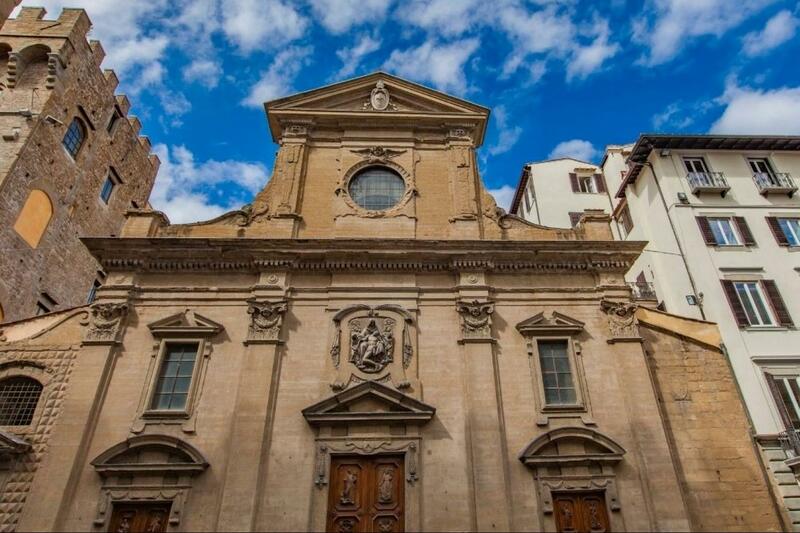 Then, we'll explore the Rucellai neighborhood and the church of Santa Trinità whose famous Sassetti chapel has frescoes that feature detailed examples of Florentine dress fashion and cityscapes of Florence, that will help shed light on how life was during the times of the Renaissance. On these back streets we'll see wine doors and tabernacles, and other examples of everyday Florentine life. 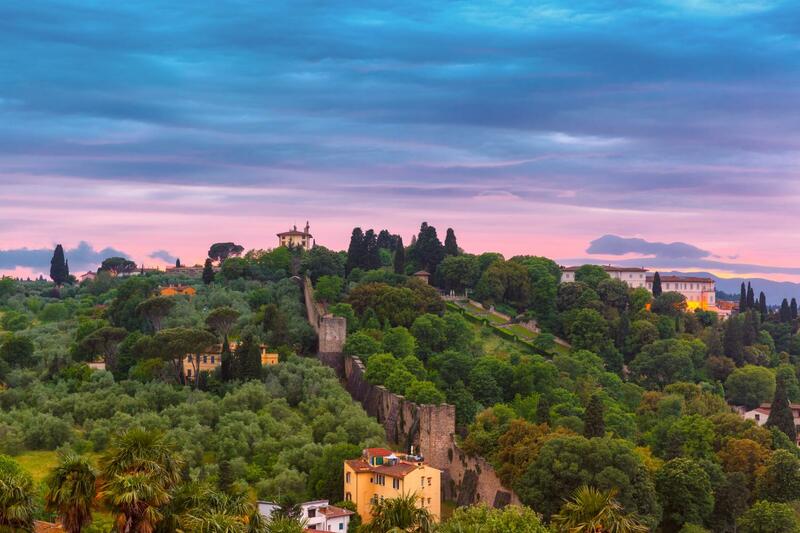 Crossing the Arno river to the Oltrarno neighborhood, we'll explore alleyways lined with artisan workshops, as we walk through what was once the Jewish neighborhood of Florence. 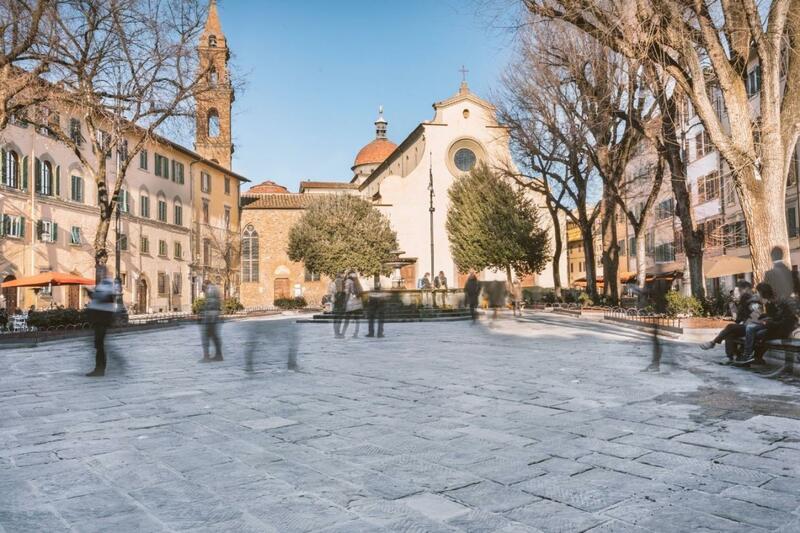 We end our tour in the picturesque piazza Santo Spirito another beautiful Florentine piazza often overlooked by tourists. Entrance fees to Santa Maria Novella Church - Euro 3,00 per person.